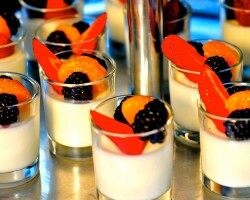 Bord A Petite is one of the more traditional wedding catering companies in Bakersfield. This professional company offers innovative and delicious menus for you to serve on your big day. 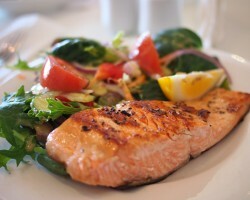 The dining options that this company provides are great for a more sophisticated event like a wedding. Couples will be in control of the menu and can always expect an impeccable service. There are even opportunities to make requests to include your favorite dishes, such as asking for Louisiana-style crawfish. Since 2008 Quig’s BBQ has been offering melt in your mouth dishes that you would be proud to serve to your guests at any occasion. This is not only one of the best local caterers but the mobile catering company has also made a name for itself in the surrounding states. Whether you are having a holiday party or a large formal wedding, nothing will satisfy your taste buds more or those of your guests more than the selection of food from this professional company. 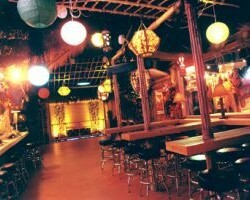 Coconut Joe’s is known for offering fantastic catering in Bakersfield, CA for any kind of event or function you may be having. 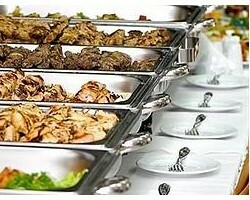 This company offers some of the most affordable and down to earth catering options in California. The most popular menu option from this company includes classic BBQ favorites like grilled chicken, beans, rolls, salsa and more. Whether you are having a formal wedding or a casual one, food served from these experts is always a hit with the crowd. 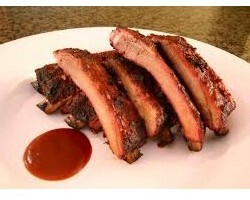 Big Mike’s Ragin’ BBQ has experience as a Bakersfield catering service for weddings, graduation parties, a corporate lunch and many other events. This company has been offering their services since 2005. In this time, the team has been able to perfect their skills at the grill, in the kitchen, and serving at formal and casual events alike. If slow cooked meats are your favorite then you should have them to celebrate the biggest day of your life and share your preferred meals with your friends and family. Uncle’s BBQ offers catering services that are not just your average Italian catering or Mexican food, but delicious meats that have been cooked to perfection. This may not be the traditional catering option for classic events but it is one of the most popular based simply on the fact that the food is delicious. This company provides top quality services and relatively cheap catering options so you can also save money while giving your guests a meal that they will never forget.